The death of the Dreamcast was a sad event and the end of an era. But every cloud has a silver lining. 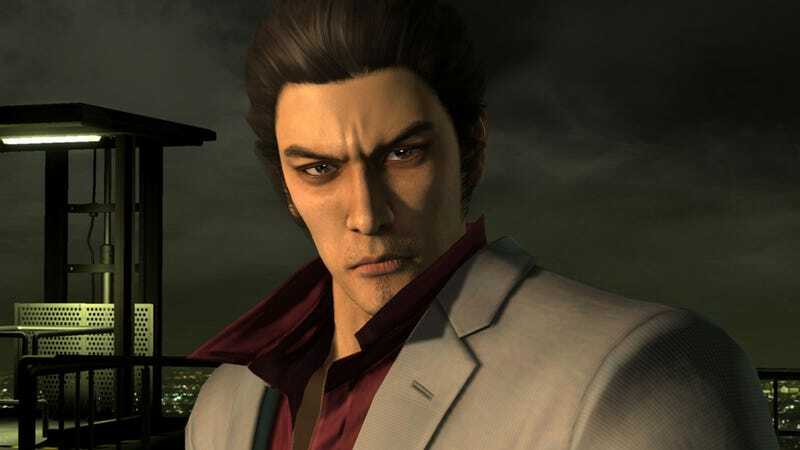 The console's demise led to the eventual birth of a game series that would probably never have been released on it: the Yakuza games. "I, along with many others assumed, '[Sony]'s new to making games, so it'll take some time before they have worthwhile title.'" Toshihiro Nagoshi, creator of the Yakuza series said in an interview with Weekly Famitsu. Nagoshi's interview was part of the 20th anniversary celebration of the release of the original PlayStation, the brand that went on to eventually force rival Sega's retreat from the console wars. "We started out thinking, 'are they even going to be a rival to us?' but before we knew it, they were indeed a powerful rival... It was really quick by the time we were thinking 'Oh, crap, we're losing!'" A lifelong employee of Sega, Nagoshi had much to say of the PlayStation brand that was once a rival and now the platform for his biggest series. Asked how he felt about Sega's retreat from the console market, Nagoshi replied, "I was half bitter and half relieved. At the time we believed 'the console we've poured our hearts into will shape the future,' so when we pulled out, there's no way we couldn't feel bitterness. Not only that, but we were turning our backs on the people who had purchased Sega's console... I was both bitter and extremely sorry. But I still believe that pulling out was the right decision." After Sega ended its console run with the Dreamcast it went on to focus on games and began releasing titles for its former rival. "It's interesting," Nagoshi remarked. "After the feelings of bitterness at losing subside, they change to joy, thinking, 'now we can offer games on any platform!'" Among the titles Sega released for the PlayStation platform was Nagoshi's own Yakuza, a title that, according to its creator, went through many of its own trials before it saw the light of day. "At the time in the gaming world, new IPs didn't really catch on and most games were sequels. I couldn't stand such a situation so I put all my frustrations into the proposal that became the start of Yakuza. The proposal got turned down several times within the company and was a bit of a black sheep at the time... And I took it to SCE (Sony Computer Entertainment) anyways. Of course, their initial response was less than favorable." Despite such setbacks, it was Nagoshi's persistence that eventually won out. "After I was turned down by SCE, I immediately went back again the next month. I was asked, 'If you get turned down today, what will you do?' to which I answered, 'I'll come back next month.'" It was through these repeated visits that the conversations switched from simply turning down the proposal to figuring out a way to make it a reality. "For me, SCE was willing to take on a project that was doomed to be rejected and that's a debt for a lifetime." And how. With 2 movies, 5 spin-offs, 5 main games and a 6th on the way, the Yakuza series is still going strong. A little ironic, considering the series was born of a man's frustration with the market saturation of sequels. Nagoshi's latest addition to the Yakuza franchise, Yakuza 0: The Promised Place, is scheduled for release on the PS3 and PS4 (but of course) in Japan next Spring. No word on an international release.